About 2 million years ago, Grenada was formed as an underwater volcano. This Caribbean country is comprising the main island, also called Grenada, and smaller surrounding islands. Dubbed the “Spice Isle,” the hilly main island is home to numerous nutmeg plantations. It’s also the site of the capital, St. George’s, whose colorful homes, Georgian buildings and early-18th-century Fort George overlook narrow Carenage Harbour. To the south is Grand Anse Beach, with resorts and bars. Tourism is Grenada’s main economic force. Conventional beach and water-sports tourism is largely focused in the southwest region around St George, the airport and the coastal strip. Ecotourism is also growing in significance. Grenada is also known as Spice Island and it offers one of the most beautiful waterfronts in all Caribbean. If you want to become a citizen by investing in Grenada there are two available options: you can donate money to the National Transformation Fund (NTF) OR you can purchase approved real estate in the country. Citizenship by donation requires at least $150 000 USD to be donated to NTF. This is the price if you apply alone. If you apply with the family with up to four members then it will cost you $200 000. If family has more than four members it will cost another $25 000 for each additional member. On top of this, you will need to pay extra processing fees (about $8 000). If you decide to invest in the property then you will need to spend at least $350 000 on property that has been approved by the government. This is the price for the main applicant, their spouse and up to two children. For each additional member, you must spend another $25 000. In this case, besides the usual fees, you will need to pay government fees that cost $50 000. You will have to keep this property for at least four years. As of July 2018, Grenadian citizens had visa-free travel or visa on arrival access to 141 countries and territories, ranking the Grenadian passport 31st in terms of travel freedom according to the Henley Passport Index. This includes EU, Russia, and China. In fact, this is the only Caribbean citizenship by investment country which has visa-free access to China. Grenada is the only Caribbean country with a citizenship by investment program which holds an E-2 Investor Visa Treaty with the United States, allowing citizens to be eligible to apply for a non-immigrant visa. 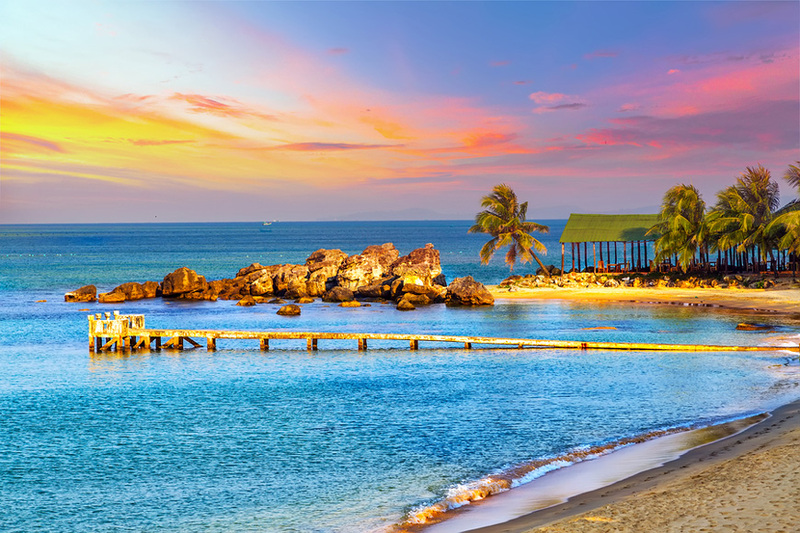 You will not have the requirement to travel to Grenada during the application process. Also, there are no any residency requirements. Your application will be processed fast, usually within three months. Citizenship may be passed down to future generations without any restrictions. There is no tax on your worldwide income. Also, Grenada allows individuals to hold dual citizenship, so you will be able to keep your original one. Interestingly, an investor can not use this program if he/she has been denied a visa to a country with which Grenada has visa-free travel and who has not subsequently obtained a visa to the country that issued the denial. So, you will definitely need to check each visa free country for Grenada citizens and obtain any visa you have been denied before. Otherwise, you might not be able to participate in this program. Besides that, everything else are common requirements that most other countries which offer this program require, such as police certificate, proof of legal source of your funds and medical checks for the investor and their family. Who doesn’t qualify Individuals who have previously been denied a visa to a country with which Grenada has visa free access.